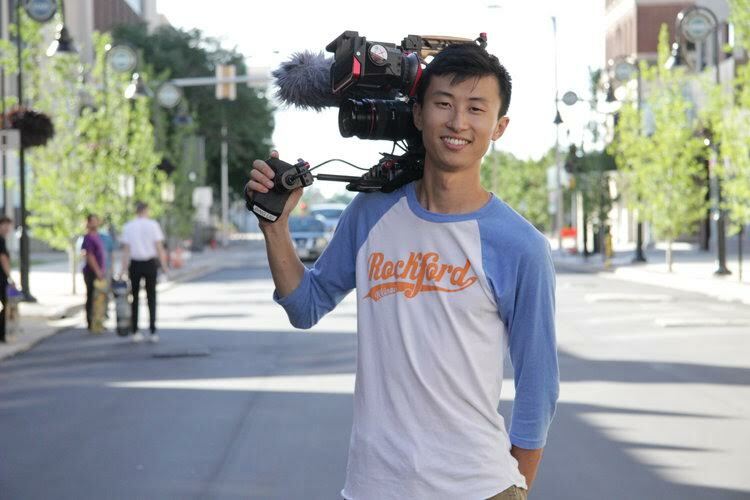 "Minding the Gap" director Bing Liu. Catch "Minding the Gap" on POV on Monday, February 18 on PBS (check local listings), which CAAM is proud to co-present. The Academy of Motion Pictures announced the 2019 Oscar nominations this morning, and we’re thrilled that #CAAMFest36 Best Documentary Award winner Minding the Gap, directed by Bing Liu and produced by Diane Quon, has been nominated for an Oscar. Catch Minding the Gap on POV on Monday, February 18 on PBS (check local listings), which CAAM is proud to co-present. In what ways do you think Minding the Gap has been successful in reaching people across cultures, race, and class? There is a sense of non-judgmentalness. The film deals with a lot of issues that could be polarizing: race, class, and child abuse. The whole time I was just trying to get at how do people actually feel outside of the nature of judgment? How do they actually feel on the inside? In a way that they don’t have to color or cloak it. In some sort of way that they feel more palatable and make them feel more comfortable sitting in with their peers or communities and strangers. That was sort of my main goal. I think that is what makes it resonate so widely. Yeah, you can judge them. This is what we do when we watch films, read books, we judge characters. At the end of the day, this is them unvarnished and I think people like to see they themselves reflected. It gives them a way to channel things they don’t get to reveal others. Notably, several other Asian American filmmakers have been nominated in the Best Documentary category, including Free Solo directors Elizabeth Chai Vasarhelyi and Jimmy Chin, and Hale County This Morning, This Evening producer Su Kim. Read an interview with Elizabeth Chai Vasarhelyi on CAAM’s website. Pixar’s short animated film by Domee Shi has been nominated for an Oscar for Best Animated Short. A Star is Born‘s cinematographer, Matthew Libatique, has been nominated in the Best Cinematography category. Ah-Ling Lee is nominated for best Sound Editing (First Man).